Abites, some time ago I read the first two books (The Six and The Oracle) in this fabulous YA fantasy series - The Gateway Chronicles by K.B. Hoyle. I've recently gotten my hands on the last three books in the series. The White Thread is book three, and you will soon see reviews for books four and five, because they are just so darn good I can't put them down. If you click on the books named above you can see my reviews of the past books in this series. In The White Thread we pick up where The Oracle left off. Darcy and friends return to Alithea with more puzzles to unravel, danger to confront, and life-threatening adventure to live. These books are strongly character driven and I've become so attached to Darcy and Tellius and Sam - watching them all grow up and mature in each book - that when I get to the last page in this series I know I'm going to be devastated. This time Darcy must return to the Oracle in an attempt to free Yahto Veli, her friend, but the rules have changed. Add to that the normal teenaged confusion regarding feelings of "liking" a boy, and trying to be loyal to your friends and you've got such a great book. A great series. This is one series author who does series really well and you ALL know how strongly I feel about that. I have nothing bad to say about these books. At all. I'm so wrapped up in this series! I know this isn't really much of a review - more of a rave, but I'm really struggling to write anything that isn't a spoiler and I'm already deep into reading The Enchanted, book four. So all I have to say is, if you like YA fantasy these books are some of the absolute best I've ever read, and that includes the Harry Potter series. Be sure to add these to your to-read list. What are your must read YA fantasies? For the duration of her freshman year, Darcy Pennington agonized over the fate of her dear friend, the nark Yahto Veli, who sacrificed himself to the Oracle to set her free. As her third trip to camp, and to the magical land, approaches, Darcy wonders if she’s capable of the daring rescue she wants to embark upon, but soon realizes there’s much more at stake. Her return to Cedar Cove Family Camp is marked by a mysterious disappearance, and in Alitheia a new message from the Oracle adds to the riddles that must be deciphered if they are to expel the dark evil that hovers over the land. The six friends and the alchemist Rubidius plan a sea journey that will take them beyond the borders of Alitheia, and into the realm of a legendary archipelago. Tellius winds up joining them as well and the foes they meet along the way are both deceptive and charming, while the Oracle’s riddles seem to dog them at every turn. Darcy is also hiding a secret from her best friend Sam that could test their friendship beyond the breaking point, and there’s an unexpected development in her relationship with Tellius that changes everything and makes her understand that the deepest scars sometimes cannot be seen. Darcy isn’t sure if she’s prepared for another meeting with the Oracle, but if she wants to have any chance of saving her friend, she must try. To complicate matters, the evil they left behind in Alitheia has not remained dormant. K. B. Hoyle is a wife to a wonderful husband, a mother to three rambunctious little boys, and has been a classical educator for five years. She always knew from a young age that she wanted to write stories that would inspire people. Her favorite genre to read and write is Young Adult Fantasy and Science Fiction, so that is where her journey began. 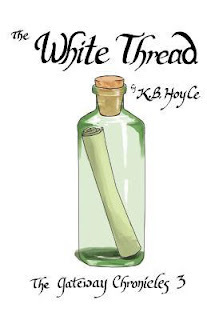 K. B. Hoyle began writing her first fantasy novel at the age of eleven, which proved to be valuable experience and practice for the novels she would publish as an adult. 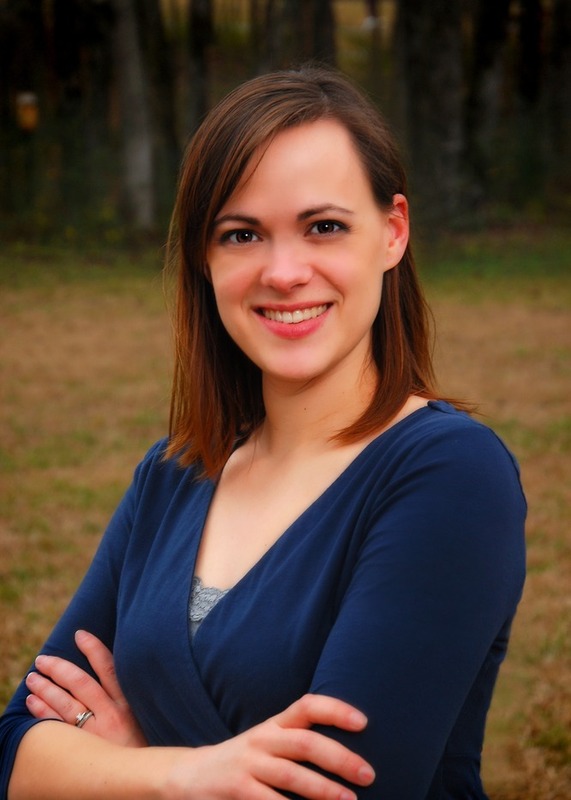 K. B. Hoyle is currently writing the Young Adult Fantasy series The Gateway Chronicles, but she never stops brainstorming and planning for all the stories she hopes to write in the future. Like I said, I read the first two quite some time ago. It's taken me this long to get my hands on the rest. Thanks for the recommendation Jess! Thanks so much for the fabulous review! I really appreciate it!